Boyd, Colin. "M. NourbeSe Philip". The Canadian Encyclopedia, 29 January 2016, Historica Canada. https://www.thecanadianencyclopedia.ca/en/article/marlene-nourbese-philip. Accessed 22 April 2019. 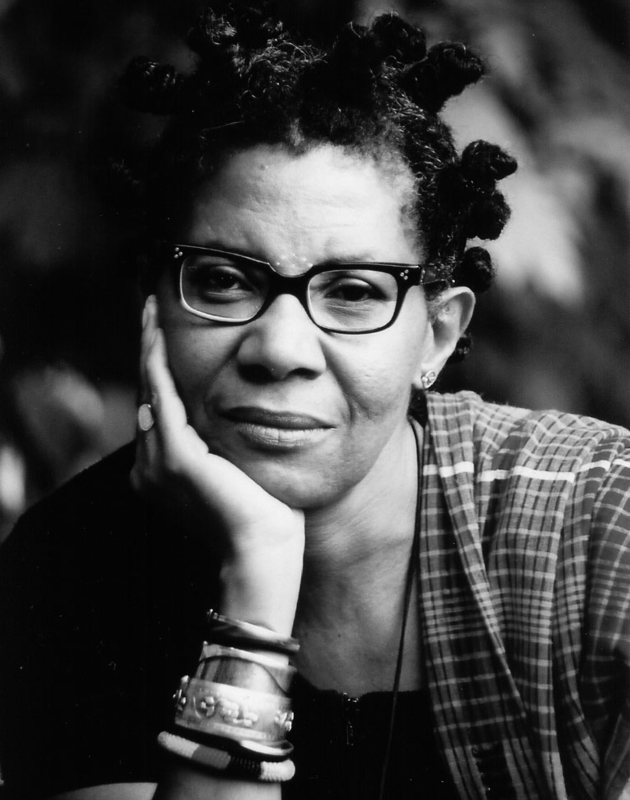 Marlene Nourbese Philip, poet, novelist, essayist (born 3 February 1947 in Moriah, Tobago). M. NourbeSe Philip, poet, novelist, essayist. Marlene Nourbese Philip, poet, novelist, essayist (born 3 February 1947 in Moriah, Tobago). Marlene Nourbese Philip, who publishes under the name M. NourbeSe Philip, is the influential author of novels, stories, essays and plays concerning the politics of gender, race and language. Marlene Philip was born in 1947 on the Caribbean island of Tobago. Her family was comparatively prosperous for Black people living in the British-controlled Caribbean; her grandmother had been a plantation owner, and her father was a school principal. Ironically, she was named after the white German film star Marlene Dietrich. She later added the middle name Nourbese, an African name meaning “marvellous child.” When she was eight, her family moved to the nearby island of Trinidad. Trinidad and Tobago gained independence from the British Empire in 1962. By this time, education had become more widely accessible in the country, and it was possible for Philip to go to school. She attended Bishop Anstey High School, where she was awarded a Cipriani Memorial Scholarship for scoring first in a Caribbean-wide examination at the high school level. This scholarship enabled her to study at the University of West Indies, in Kingston, Jamaica, where she received a bachelor’s degree in economics. In 1968, Philip moved to Canada, where she earned a master’s degree in political science and a law degree from Western University in London, Ontario. She practised law in Toronto for a nearly a decade, at Parkdale Community Services, and then in the partnership Jemmott and Philip. In 1983, she decided to give up her law practice in order to devote herself full-time to writing. One of the central themes of Philip's work is an attempt to document her ongoing struggles to connect with her lost cultural heritage. Her first book of poetry, Thorns (William Wallace Inc.), was published in 1980, followed by Salmon Courage (William Wallace Inc.) in 1983. Her third collection, She Tries Her Tongue, Her Silence Softly Breaks (Ragweed Press), was published in 1989 and received the Casa de las Américas prize. She was the second Canadian ever to receive the award. In She Tries Her Tongue, Her Silence Softy Breaks,the problem of speaking and writing in English, a "foreign lan lan lang / language," is foregrounded, and the poems are a linguistic quest for a pure utterance to express the personal memory and authentic experience that constitute a history. The poems in Philip’s most recent book of poetry, Zong! (The Mercury Press, 2008) are based on a legal decision concerning the notorious 1781 murder of Africans on a slave ship on its way from Liverpool, England to Jamaica. This theme of her struggle to connect with her lost cultural heritage is also present in Looking for Livingstone: An Odyssey of Silence (1991). A narrative in poetry and prose in which a traveller describes her search for the adventurer David Livingstone (celebrated by the West as the discoverer of Africa), the work questions Western assumptions about the silence of Indigenous peoples. Philip has also written a critically acclaimed novel for young people, Harriet's Daughter (The Women’s Press, 1988), about an imaginative young Black teenager and her journey towards taking control of her life. The novel was one of the two runners-up in the 1989 Canadian Library Association Prize for Children’s Literature. Philip is the author of three plays. Coups and Calypsos (1996) was produced concurrently by the Cahoots Theatre Company in Toronto and the Talawa Theatre Company in London, England, and was later published by The Mercury Press and included in the anthology Testifyin’: Contemporary African Canadian Drama. Harriet’s Daughter (2000) is an adaptation of her young-adult novel of the same name, and The Redemption of Al Bumen (A Morality Play) (1993) was included as part of the book-length essay Showing Grit: Showboating North of the 44th Parallel (1993). Philip’s role as an antiracist activist is most explicit in her essays, first collected in Frontiers: Essays and Writings on Racism and Culture (1992). Showing Grit: Showboating North of the 44th Parallel (1993), critiques the Toronto stage production of the musical Show Boat by examining the contents of the play, the book upon which it is based, and the social and historical contexts that produced them both. The extended essay Caribana: African Roots and Continuities – Race, Space and the Poetics of Moving was published separately as a chapbook and included in the collection A Genealogy of Resistance (1997). Philip was awarded the Casa de las Américas prize for her book of poetry She Tries Her Tongue, Her Silence Softly Breaks. In 1990, she received a Guggenheim Fellowship in poetry and in 1991 was a McDowell Fellow. She received The Lawrence Foundation Award for her short story “Stop Frame,”published in the journal Prairie Schooner. In 1995, she received a Toronto Arts Award in writing and publishing. In 2001, she was given a Rebels for a Cause award from the Elizabeth Fry Society of Toronto and a Woman of Distinction award in the arts from the YWCA. In 2002, she received a Chalmers Fellowship in poetry and in 2005 she was given a Rockefeller Foundation residency in Bellagio, Italy.